THE EUROPEAN COMMISSION has given its final approval for the Single Supervisory Mechanism, the first pillar of the Banking Union. The SSM regulation aims to confer upon the European Central Bank specific supervisory tasks over credit institutions in the Euro area. The Commission is ready to help in any way with the European Central Bank’s intensive preparations to ensure the SSM begins its work next year. Now it is urgent to put the second leg in place by agreeing the single resolution mechanism and fund and the single rule book for bank resolution tools and deposit guarantees. He said the new set of banking rules “will help build a stable financial sector, restore fair lending conditions across the EU and ensure that banks, not taxpayers, pay for their own mistakes”. We owe it to our citizens to deliver before the European Parliament’s elections in May. 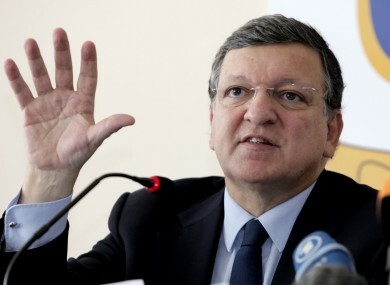 Commissioner responsible for internal market and services, Michel Barrier said they had “written regulatory history” stating that ”this is a momentous step – the start of a new era for the supervision of Eurozone banks”. I would in particular like to acknowledge the crucial roles played by the Cypriot, Irish and Lithuanian presidencies and the European Parliament in finding this agreement. He said the supervisory system needs to be complemented by an integrated European resolution system for all countries participating in the banking union. Email “Creation of Single Supervisory Mechanism for eurozone banks is approved”. Feedback on “Creation of Single Supervisory Mechanism for eurozone banks is approved”.